The HP Omen X gaming laptop has everything you may desire in a top-of-the line gaming laptop. Due to crypto currency mining, PC gaming hardware is mostly expensive. If you want to build your own gaming PC, we suggest you wait for the price of hardware to drop. However, if you are considering a gaming laptop and are looking for the best money can buy, then there is a contender for you to consider. The HP Omen X laptop is everything you need from a top of the line gaming laptop in a very handsome looking package. 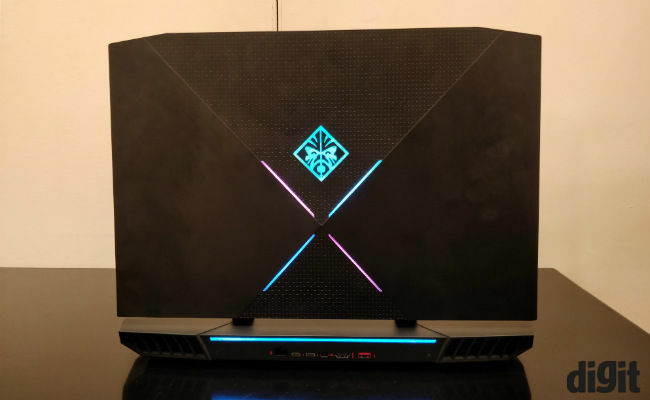 It has the latest gaming mobile CPU, a GTX 1080 GPU, G-Sync display, RGB lighting, mechanical keyboard and looks to give any other laptop a run for their money. 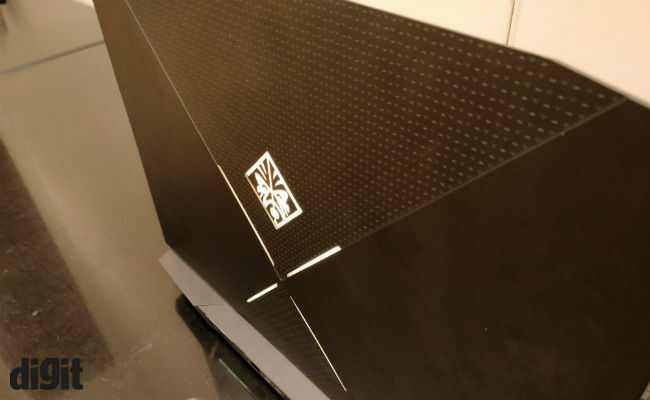 I had the chance to take a look at the laptop at the launch event and I was lucky enough to play The Witcher 3 on it and these are my first impressions of the machine. HP has upped the design game in the last couple of years. The HP Spectre was a beautiful looking laptop and that premium design language has been passed on to other HP products as well. A great example of this is the newly launched HP Omen X Compact desktop. 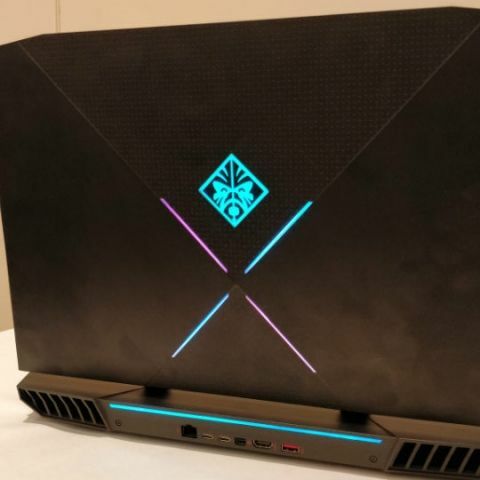 For the Omen X Laptop though, HP has kept the design similar to the recently revised Omen 17 laptop. It is a good design with angular sides and sharp edges which give the machine a gamer-oriented look. 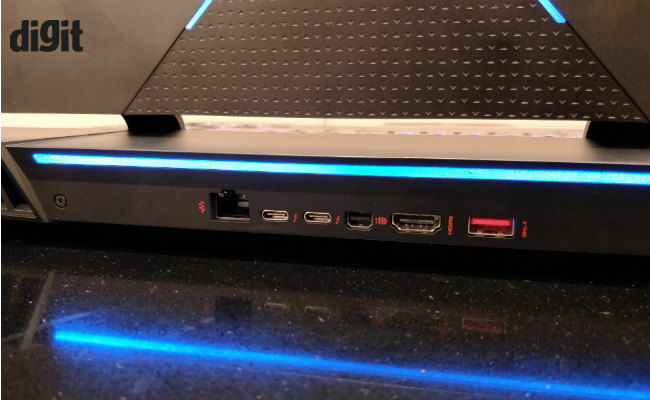 That said, the biggest crowd puller would be the new integrated RGB lighting on the chassis, which looks really cool and yes, is customizable. HP has moved most of the ports on the back. This leaves space for more I/O ports on the sides. Hence, you are looking at 3 x USB 3.0 Type-A ports (one on each side). 2 x USB 3.1 Type-C ports, HDMI 2.0a out, Mini DisplayPort, Ethernet jack, SD card reader and the separate microphone and headphone jack. Powered by Intel Core i7-7820HK, the HP Omen X Laptop, is among the few gaming laptops available today offering overclockable CPU. In India, the machine will be available in three different variants, with the top of the line machine featuring an NVIDIA GeForce GTX 1080 GPU with 8GB GDDR5X vRAM. To make the most of that GPU, all Omen X laptops will feature G-Sync displays with even the base variant featuring a 120Hz refresh rate. I saw the top of the line variant and with the matte display, it looked quite good. The gaming performance also seemed quite good. We played Witcher 3 at max settings on the machine. It offered smooth frame rates and great textures, which is basically what you want from an expensive gaming laptop. I will reserve my final verdict on the laptop for the review, but from the little time I spent with it, it looks quite promising. One of the key differentiating factors this laptop has is the mechanical keyboard developed by the company for this laptop. I had the chance to the use the machine for good 20 minutes while playing Witcher 3 and from what I could perceive, HP seems to have done a good job here. 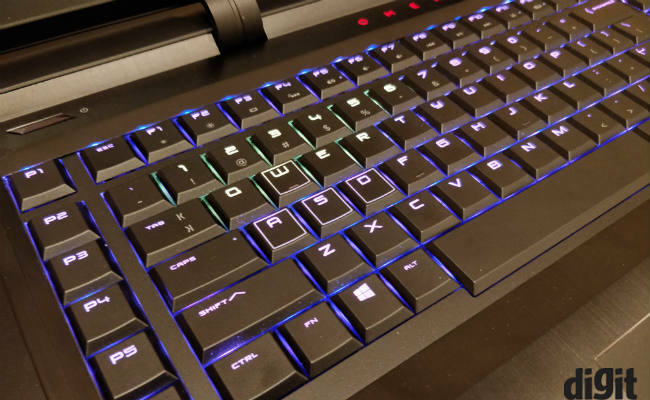 The keyboard has a 2.5mm travel which should be good for gaming and for typing alike. There are independent macro keys as well, in case you want them. The laptop also comes with pre-programmed RGB lighting and full sized keyboard. Well, the simple answer to that is definitely YES! We know that with the starting price of Rs 2,10,990, not everyone would be running to buy it, but considering the competition, this is a very competitive price. To put things into perspective, the MSI’s GT73VR costs about 3.25 lakh rupees. If HP markets this right, we think the company has a winner in its hands, but whether the product is successful is something only time will tell. Is HP Omen best for me?